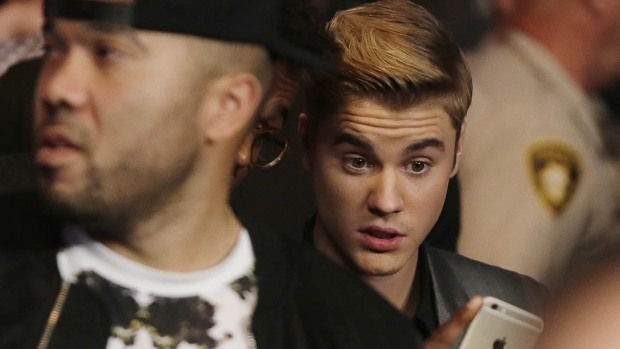 Find out who made it to the knockout rounds! 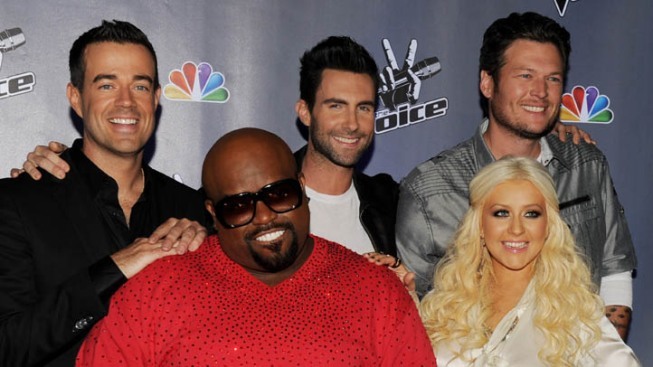 (L-r) "The Voice" host Carson Daly with judges/mentors Cee Lo Green, Adam Levine, Christina Aguilera and Blake Shelton. The time has finally come: "The Voice's" battle rounds are over! We've seen multiple aspiring singers go head-to-head, surprising steals and tearful goodbyes--and tonight sealed the deal on who would be representing each coach as the competition moved forward. So let's get straight to it! The first battle of the night was between Christina Aguilera's Adriana Louise and Jordan Pruitt who performed an "aggressive" version of Katy Perry's "Hot N Cold." Xtina found it difficult to choose between these "pop stars," but when it came down to it, Aguilera went with Adriana, which left her saying goodbye to another fellow Disney star, Pruitt. Unfortunately, the only coach that has a steal left is Christina, so Jordan didn't have a second chance. Kelly Crapa and Michaela Paige from Blake Shelton's team took on Joan Jett's "I Hate Myself for Loving You," which allowed the 15-year-old and 16-year-old singers to combine their punk rock and country backgrounds together. Aside from their powerhouse vocals, the dirty looks and glares at each other proved to be extra entertaining. "I thought a fist fight or a brawl was going to erupt for a second," Xtina said. Shelton's fellow judges were stumped, and so was he, but he went with Michaela. Cee Lo Green matched up 16-year-old Avery Wilson with former Lady Gaga backup singer, Chevonne, in a battle he called "youth versus experience." The duo sang "Titanium" by David Guetta featuring Sia, which turned out to be a "spectacular" and "engaging" performance, according to Adam Levine. When it came to the full package, Green chose to stick with "the child prodigy" Avery. And then there was a steal! Christina used her last steal spot for Chevonne, keeping her in the game. That concluded the battle rounds, which means the knockout rounds are next! Do you agree with the choices made on "The Voice"? Sound off in the comments! Look at these musical memories from "The Voice"